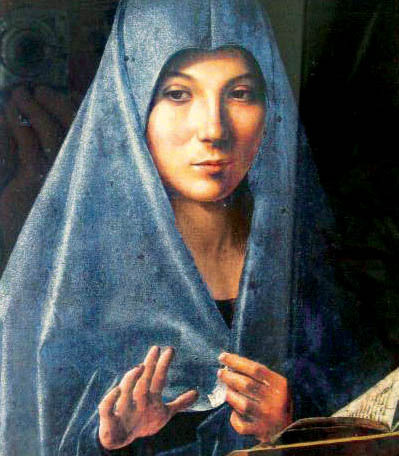 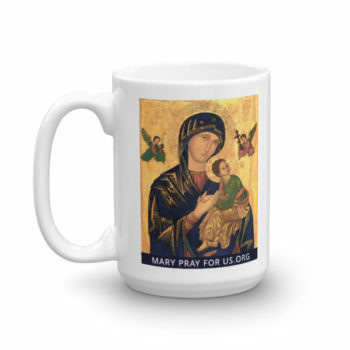 Think of Mary with your morning coffee. 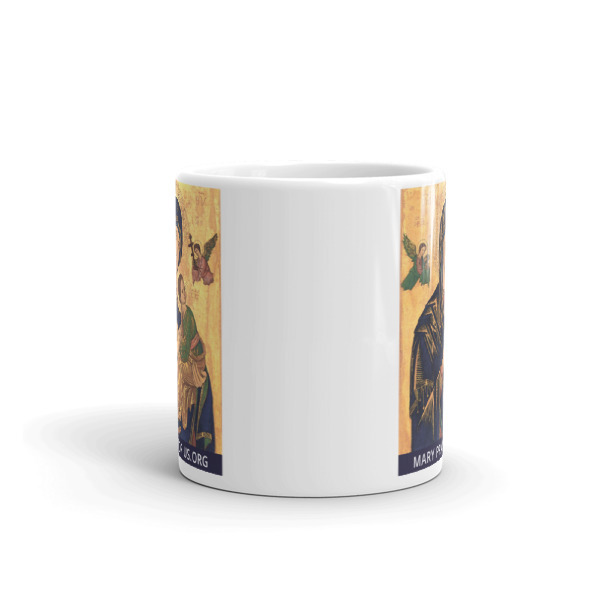 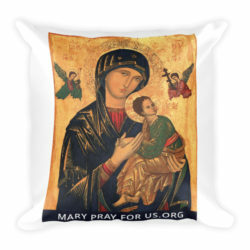 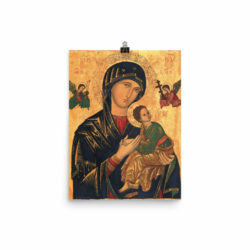 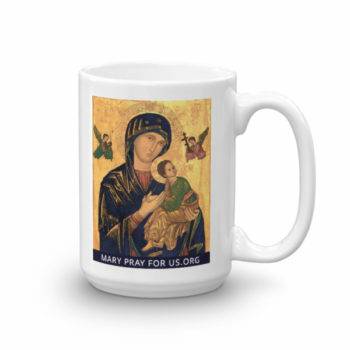 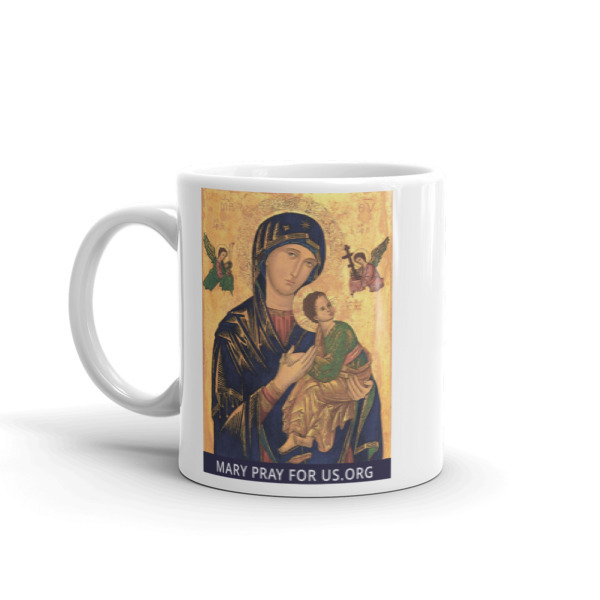 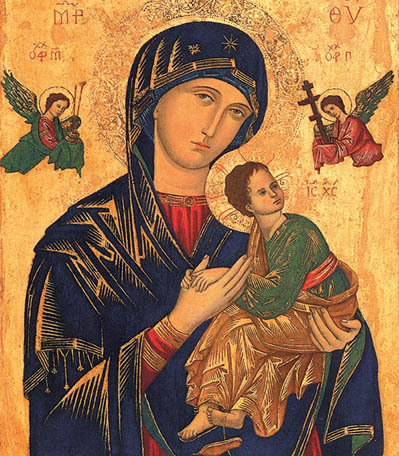 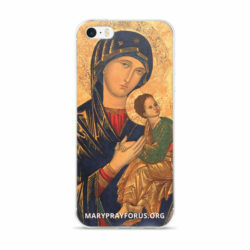 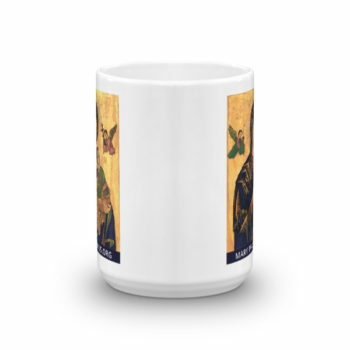 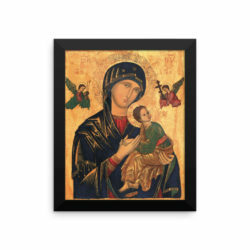 Or bring this mug to the office to share your devotion to Our Mother of Perpetual Help with others. This sturdy white, glossy ceramic mug is an essential to your cupboard, and an essential reminder of Our Mother. 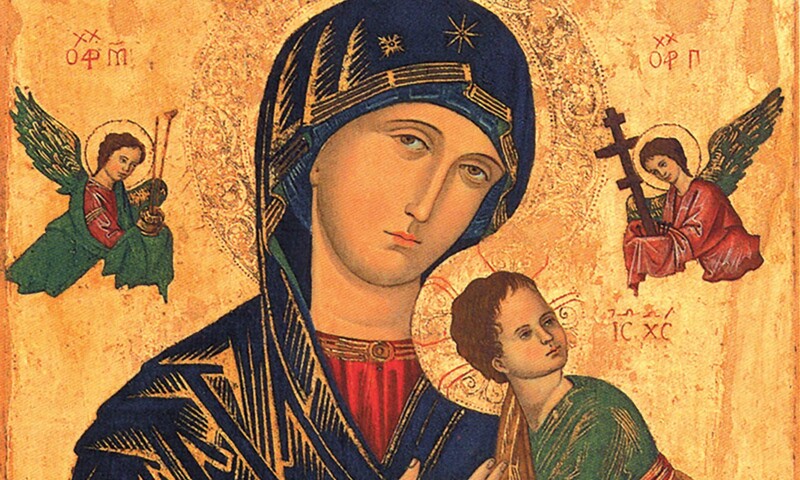 The Icon image displays on either side of the handle. This ceramic mug shows its true colors with quality assurance to withstand heat in the microwave and put it through the dishwasher as many times as you like, the quality will not be altered. 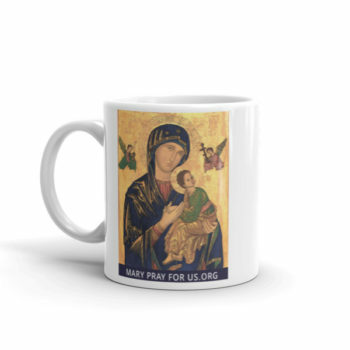 For a limited time we are requesting a donation of $14 plus shipping.